Open 24 hours a day, 7 days a week, the Flamingo Casino in Kimberley offers an excellent selection of slots and table games in both smoking and non-smoking areas, as well as an exclusive Privé area. 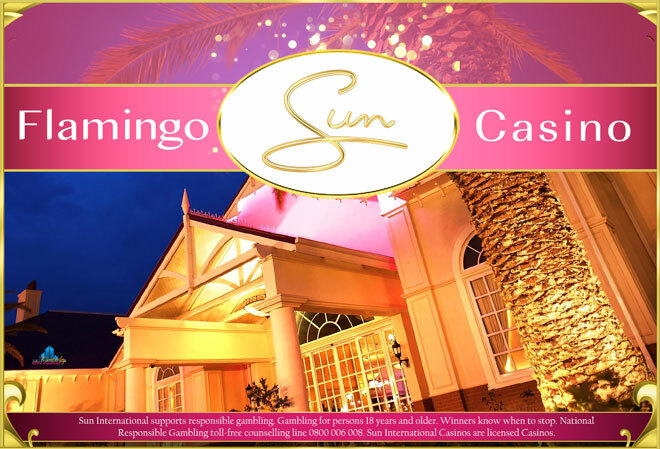 The Flamingo Casino in Kimberley offers a selection of over 300 coinless slots games to enjoy. Our slots include popular games such as DUMA, Sunstriker and Sun Cents. The Flamingo Casino in Kimberley offers a choice of 10 classic table games for your enjoyment, including Blackjack, American Roulette and Raise ‘em Poker and Baccarat. MVG members that are looking for a more private gaming experience can enjoy exclusive access to the Flamingo Casino’s Salon Privé area, the Barnato Room. The Barnato Room has an assortment of slot machines available. View all events in "The Flamingo Casino Kimberley"